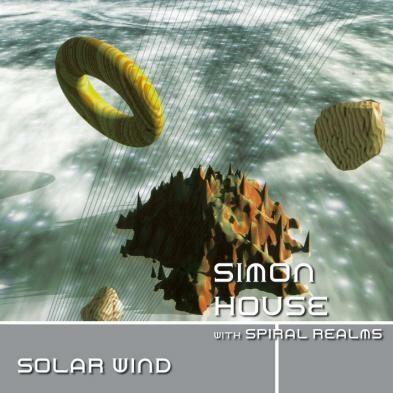 Simon House with Spiral Realms - "Solar Wind"
Simon House is an amazing violin player who has played with many artists but most famously, David Bowie and Hawkwind. The music on this CD was released originally some years ago in the USA but has been long out of print. The music is all live and it was recorded on the US tour in 1995 when the band opened several shows on Nik Turner's Space Ritual Tour. The band here is Len Del Rio (synths), Del Dettmar (VC3 synth) and Simon House (Violin). The music is all totally take a trip to outer space music. The first 5 tracks are all originals from the bands two Spiral Realms studio CDs, while the last tracks include a strange improvisation by Del Dettmar followed by the Forge of Vulcan that Simon wrote when in Hawkwind. The CD ends with Interstellar Overdrive by Pink Floyd. Really cool music if you are in the mood to just trip out.